We are continuing birthday celebrations here at The Love Nerds with lots of awesome activities for a fun Circus Birthday Party from 3 Monkeys’ Mommy! Festive party decorations is always fun for a kid’s birthday party, but the most important thing is the activities. You can’t just have a group of kids sitting around, twirling their thumbs. Soon you would have anarchy on your hands! 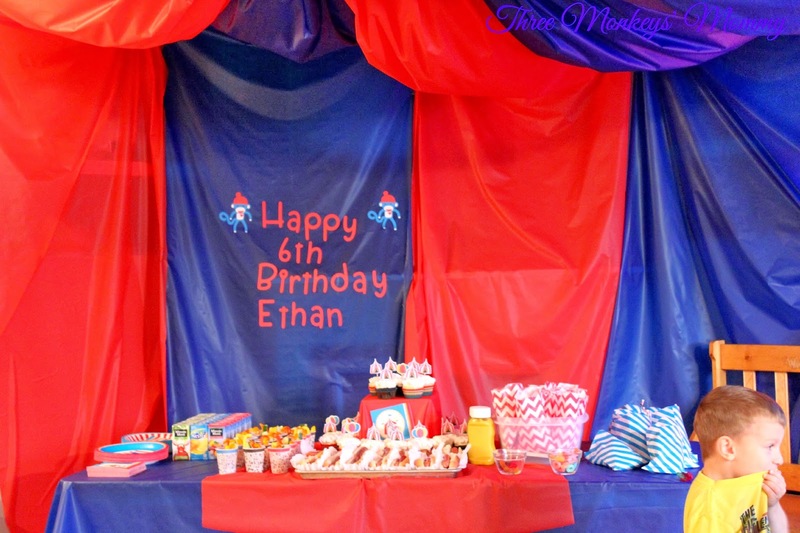 My friend Kristin from 3 Monkeys’ Mommy planned a great Circus Birthday Party with some great activities. I think a circus is the perfect theme, too, with a fun ring toss and “fake” tattoo artist! Thank you SO MUCH! I’m so excited that you are featuring my Circus Party!! You are very welcome! I love your cute ideas, especially the big tent!